It's one of those cold mornings where hot coffee seems like a gift from the gods. I'm feeling reflective this morning. 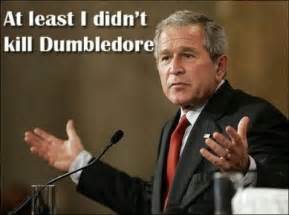 I've been thinking back to when George W. Bush was president, and how much I loathed him and his war-mongering cronies. Like cartoonist, and pundits, throughout his two-term debacle, I viewed the man as an idiot. He did little to dissuade me of that opinion during his time in the Oval Office. Bush doesn't look that bad in retrospect, especially when compared to the psychopath we now have as president. At least he was able to use words with more than four-letters in them, unlike Trump. Even stranger. Bush came out of wherever he's been hiding and made a rare speech. And what he said made sense! “Bigotry seems emboldened,” Bush said in his opening remarks at the Bush Institute’s Spirit of Liberty event in New York City. “Our politics seems more vulnerable to conspiracy theories and outright fabrication,” the former president told his audience. “We’ve seen our discourse degraded by casual cruelty,” he continued. Good grief! What's got into Georgie? I had to pinch myself to see if I was awake when I saw the video of him speaking. Things are so chaotic in our society today that a once reviled former president sounds like Mahatma Gandhi. Imagine, Bush promoting peace and love? Some pundits may point to this moment and say it's another sign the world is coming to an end. I'm not sure about that. I can think of a lot of other signs that point to an impending collapse of our country, but not necessarily the world. When that horrible final day does arrive, I doubt we'll get a warning.